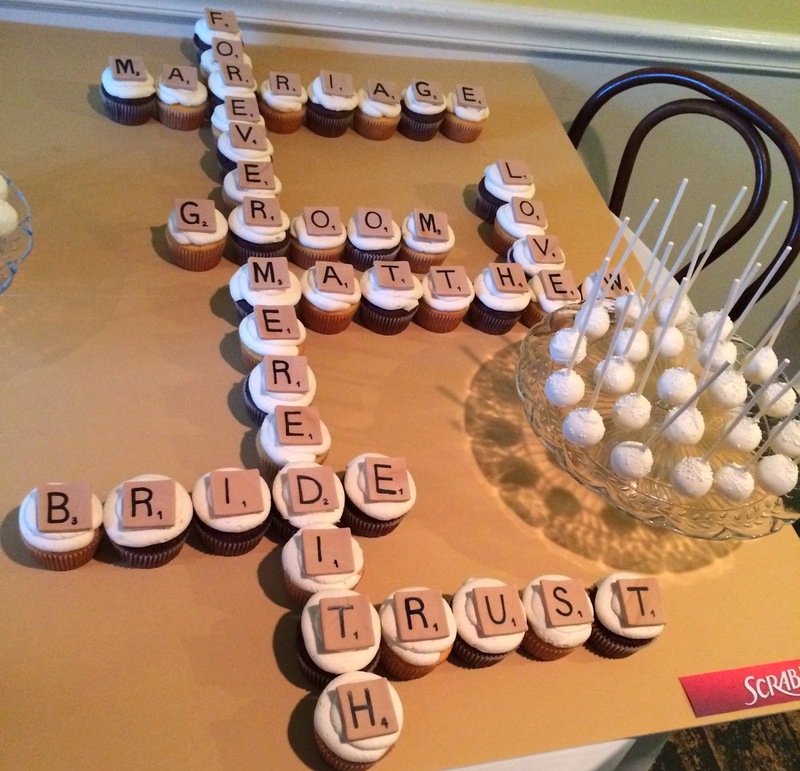 These cupcakes were for a wedding rehearsal dinner. The couple loves Scrabble. We incorporated their names and some other special words into the cupcake display. The Scrabble pieces are edible and made out of fondant. The cupcakes were half chocolate and half yellow. Lemon cake pops were served along side the cupcakes. Congrats Meredith and Matthew!